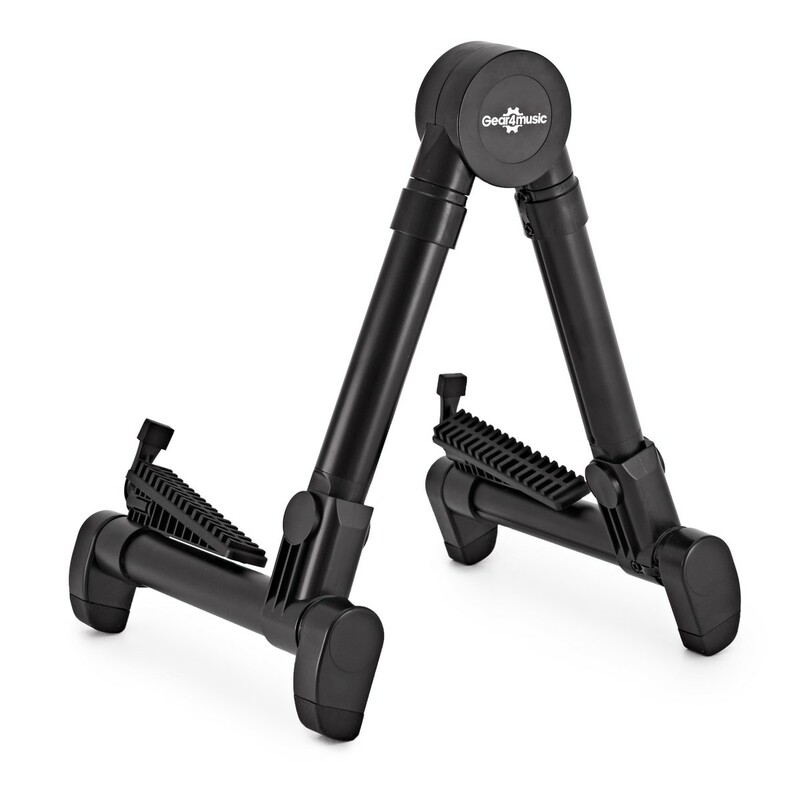 The Lightweight Foldable Guitar Stand is suitable for the travelling musician. 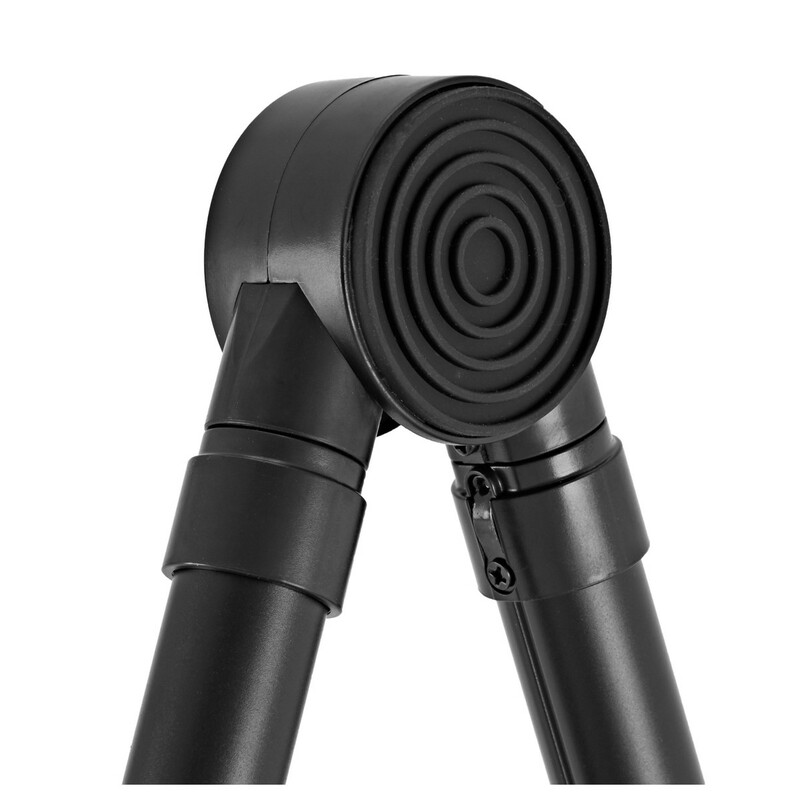 Featuring a secure and durable plastic frame fitted with protective rubber pads around the back and base of the instrument, this stand will take acoustic, electric and bass guitars. 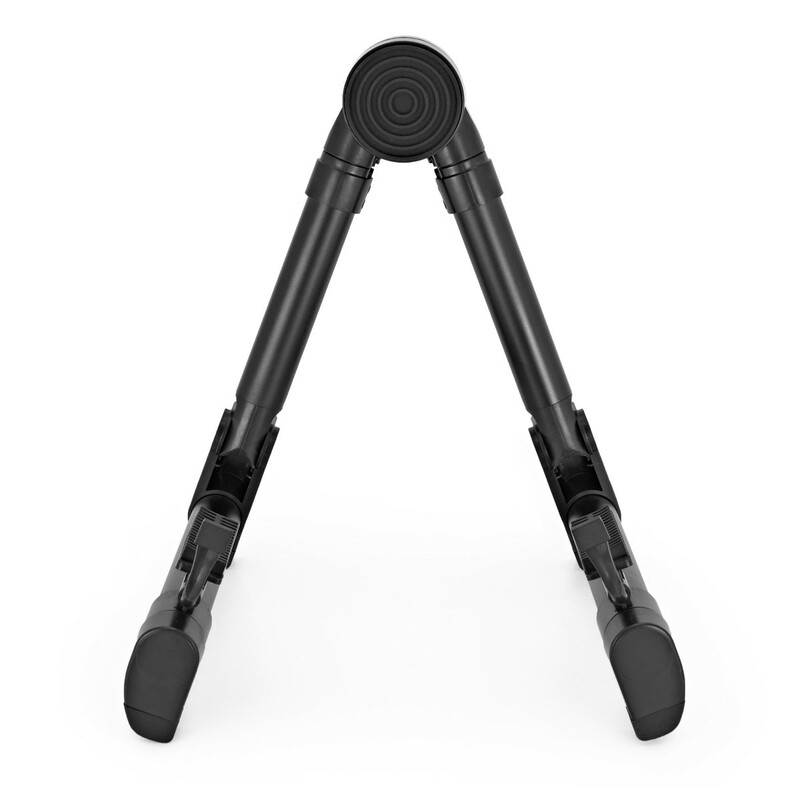 The stand can fold away in to a very compact shape, making it perfect for carrying to rehearsals and gigs. 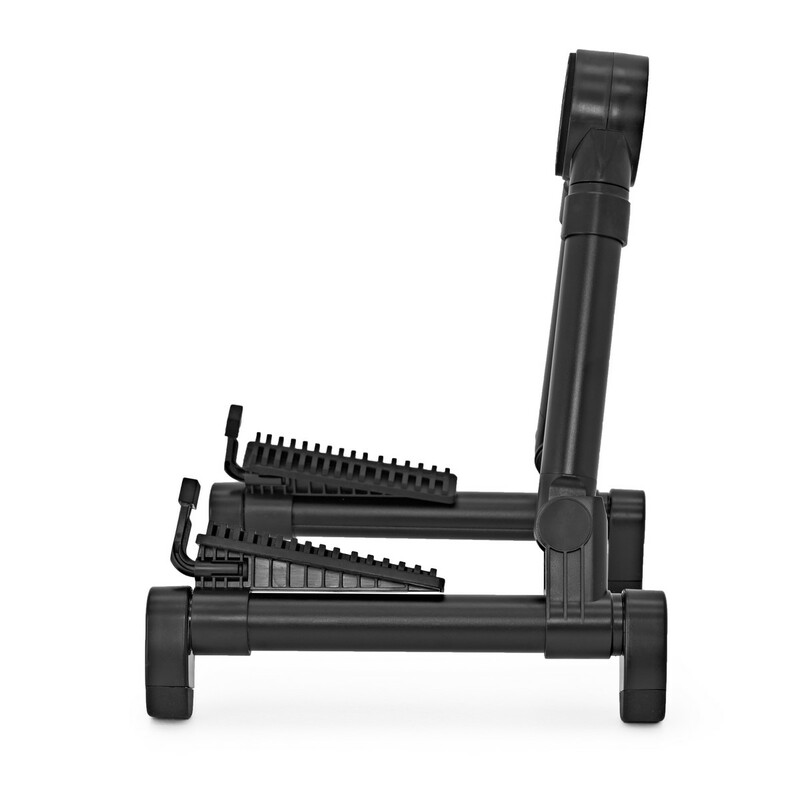 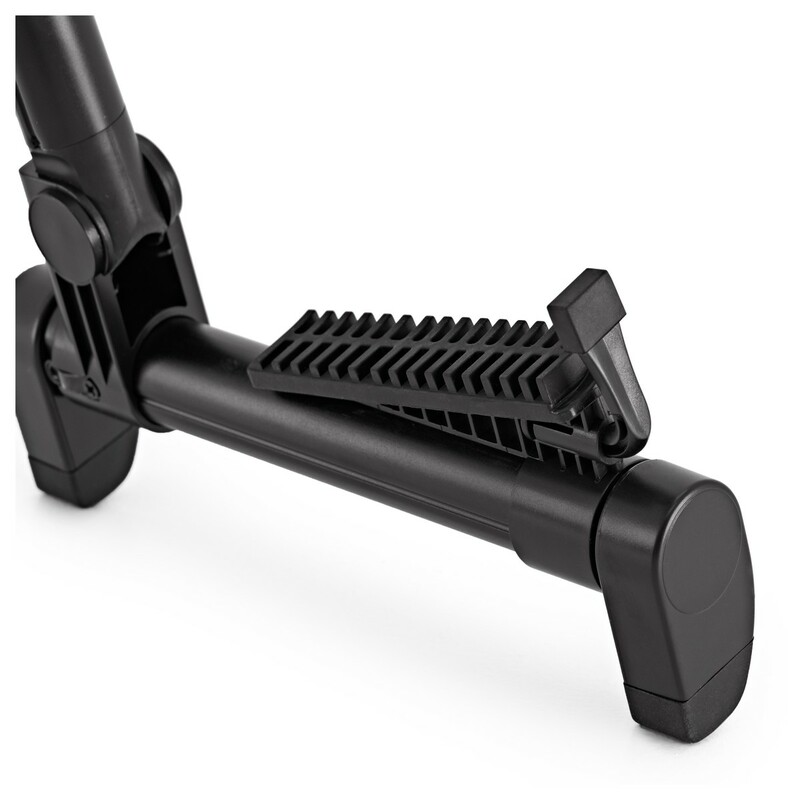 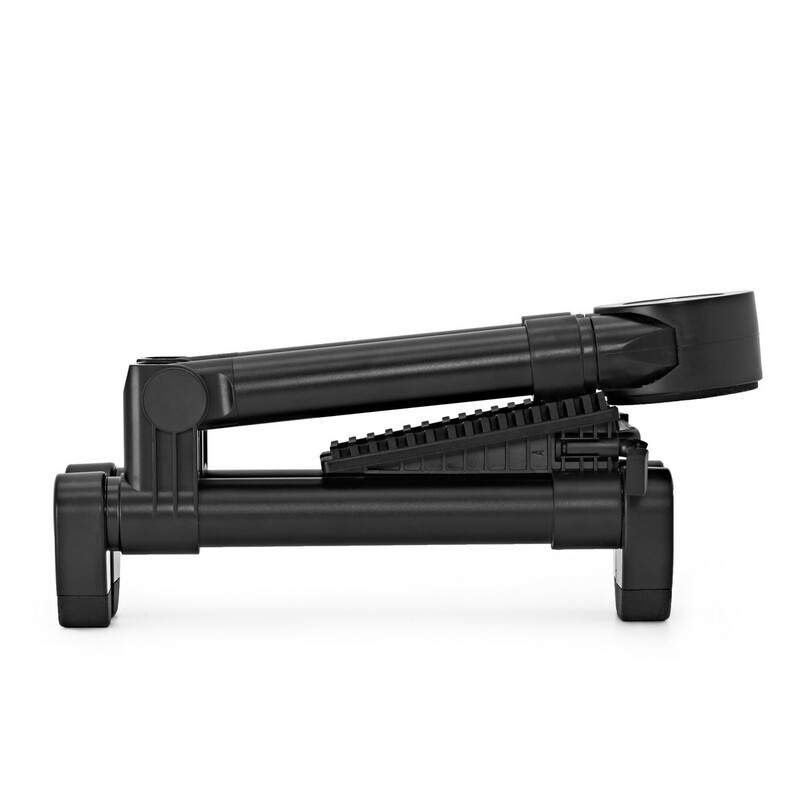 The stand also features extending legs and adjustable rubber grips for extra support.